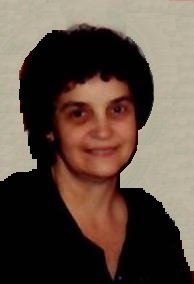 Lorraine C. Greenwald, 75, of East Graceville Road, Breezewood, PA; passed away on Monday, September 10, 2018. She was born on April 15, 1943 in Breezewood, PA; a daughter of the late Mason and Hilda (Hinish) Ramsey. On July 27, 1959 she married Paul E. Greenwald in Winchester, VA. Along with her husband of fifty-nine years she is survived by children Brian Greenwald, Everett, PA, Mark Greenwald married to Dollie, Hopewell, PA and Michael Greenwald married to Kelly, Everett, PA; grandchildren Bethany Strait, Breean Shaffer, Courtney Greenwald and Brian Greenwald II; great-granddaughter Brooklyn Shaffer; siblings Fern Sipes, Everett, PA; Jean Truax, Breezewood, PA; Leo Ramsey married to Mary Edna (Fink) Breezewood, PA; Randy Ramsey married to Becky (Wigfield), Hopewell, PA; Gary Ramsey, Breezewood, PA; Theola married to Frank H. Miller, Breezewood, PA; Bonnie married to Tony Kalathas, St. Thomas, PA; sisters-in-law: Vera Ramsey and Nancy Ramsey. She was preceded in death by siblings Norma Feight, Virgil Ramsey, Rodney Ramsey, Vickie Ramsey and infant siblings Sarah, Marvin and Ronald Ramsey. Mrs. Greenwald was employed at Ramada Inn, Breezewood, where she was a housekeeping supervisor for many years and formerly worked at Bonanza Restaurant. When Lorraine was a little girl she would walk to Mt. Chapel Church in Breezewood. She was known for her chocolate cake with peanut butter icing. Funeral Service will be held on Thursday, September 13, 2018 in the Chapel at Akers Funeral Home with Pastor Ron Hott officiating. Friends and Family will be received on Wednesday, September 12, 2018 from 5-7 P.M. at Akers Funeral Home Inc., 299 Raystown Road, Everett, PA 15537 and on Thursday from 10:00 A.M. until the hour of service.